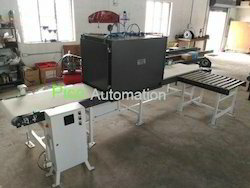 Leading Manufacturer of conveyor automations and automatic scanning system from Coimbatore. At PICO we work together with our clients to design and build the best conveyor automation solution to meet all of their specific requirements. Our team provide a wide range of services, such as Proof of principle work, failure mode & effects analysis, design of experiment, all to minimize risk for our client. We are committed to providing our customers reliable, durable, robust equipment that provides payback throughout the products’ life-cycle. Efficient, economical solution to move parts from one place to other. Space saving design to move products efficiently. Continuous or variable delivery of parts with automated controls. Interfaces with floor conveyors and to other external devices. Custom designed solutions suitable for relevant industry. For the manufacturing, processing, assembling industries & etc., PICO Automation provide state-of-the-art solutions to improve product quality and yield while reducing cost, waste and downtime. Our smooth-operating, dependable conveyor automation systems have the heaviest gauge track in the industry and are engineered for maximum efficiency. We are a well-built and well-engineered team engaged in offering Automatic Scanning System that is a highly innovative inspection system that comes. This consumes lesser power and is contrary to halogen that is invisible to the audience. This system used in hospital, home purpose, veterinary purpose. This provides usage during the day as well as nights.